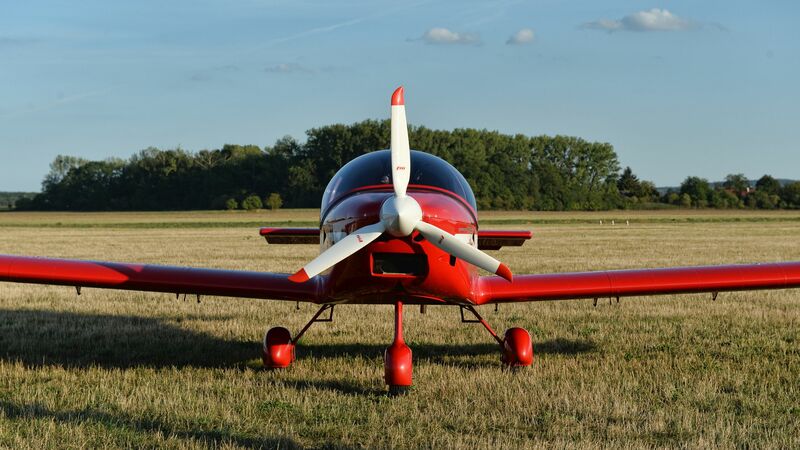 The ALTO aircraft has been designed from the very beginning as a very simple all-metal design suitable for building in amateur conditions, without the need for special workshop equipment and tools. For experienced builders, we offer the disassembled ALTO kit. 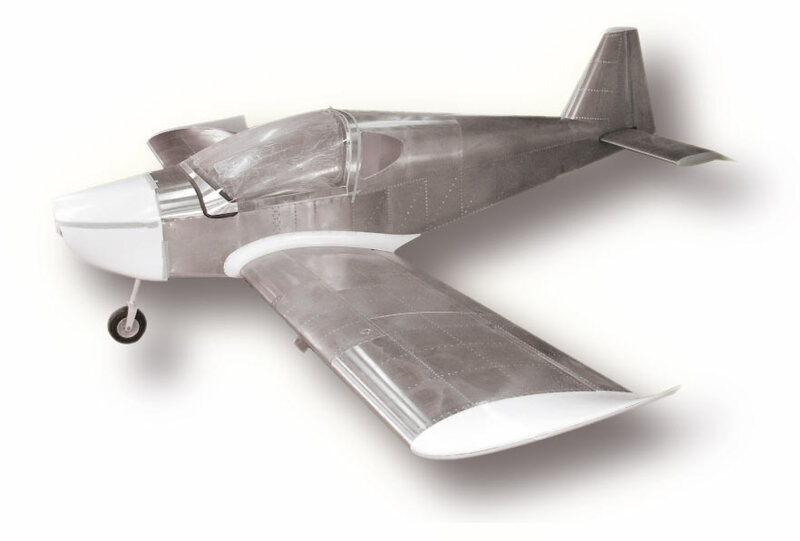 The standard offer includes disassembled BASIC KIT, QUICK KIT assembled airframe, and READY TO FLY fully assembled aircraft. 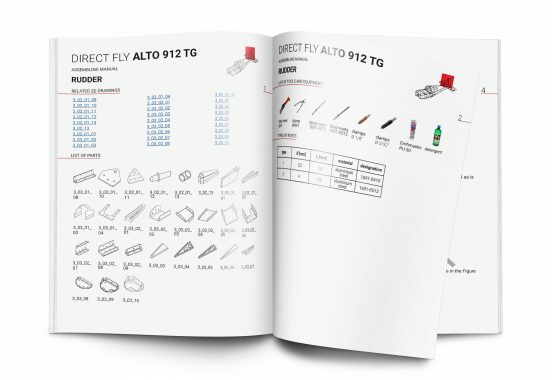 Each kit is complemented with the appropriate drawing documentation and detailed manuals. 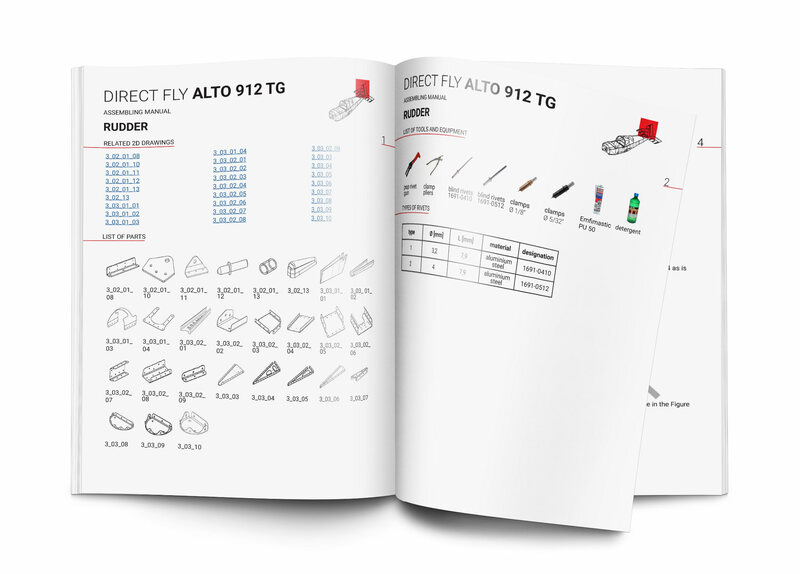 The ALTO BASIC KIT (disassembled) is suitable for experienced builders. It includes all parts for the airframe – wings and aircraft fuselage. 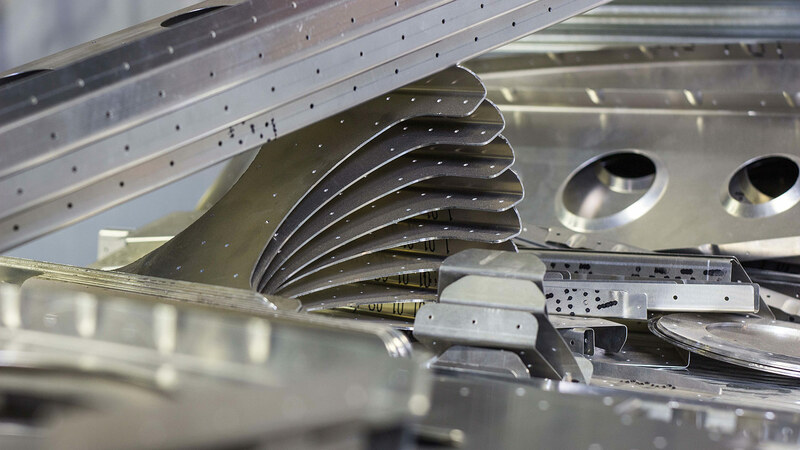 All parts are machined on CNC milling cutters, bent, folded, pressed and welded. 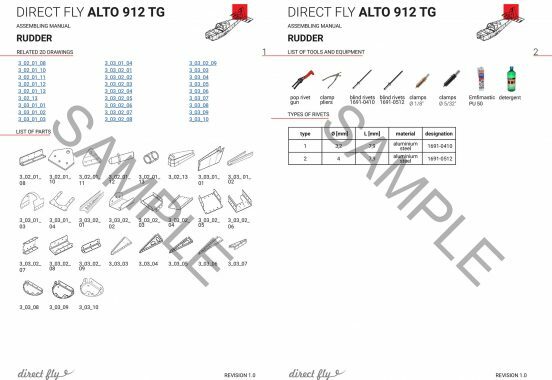 For building the aircraft from this kit, the usual workshop equipment – flat table, agraffes and suitable pliers are sufficient. Fully finished aircraft airframe, the builder installs the engine, avionics, interior, finishes the canopy and installs electrical and fuel parts, and paints the aircraft. This kit is the most economical way to fly quickly and economically. The kit does not include the engine, engine bed, electrical installation, instrumentation, ventilation controls, heating, upholstered seats, seat belts and varnish. 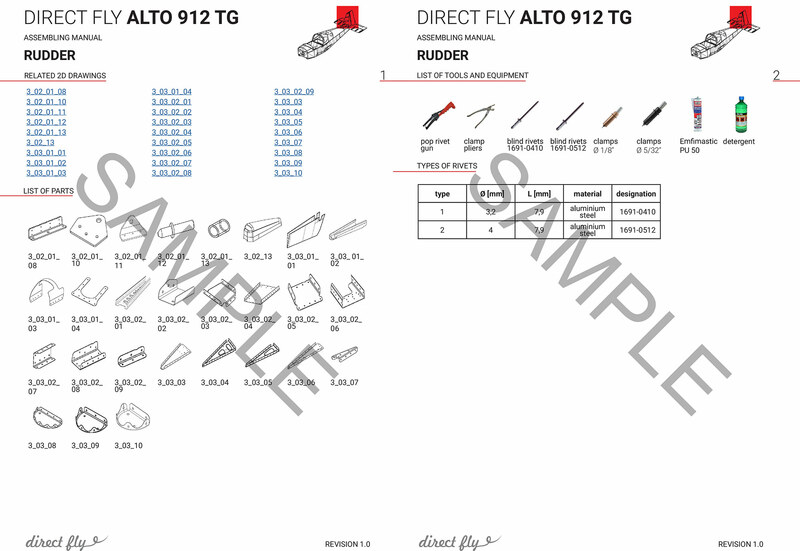 However, extra kit parts can be ordered at the customer's request. Finished aircraft equipped with the Rotax 912 ULS engine and all other installations. 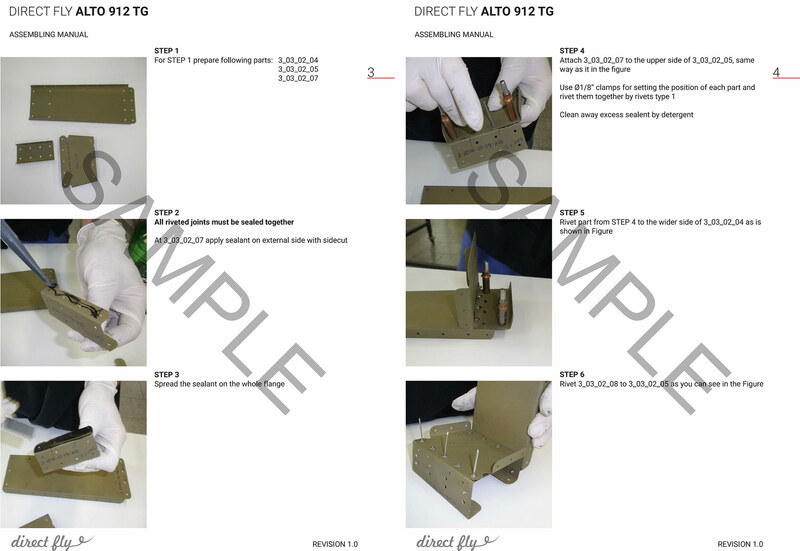 The aircraft is handed over to the customer, including complete documentation. In default configuration, the aircraft is equipped with hydraulic brakes with a central control lever, electric flap control and electric trim on the horizontal rudder. The exterior of the aircraft is made in a single color spray, the interior and the seats are upholstered with cloth. The customer has a choice of a wide range of accessories. Above-standard equipment is arranged for individually after consultation. Frequently ordered items include the GALAXY GRS parachute rescue system.